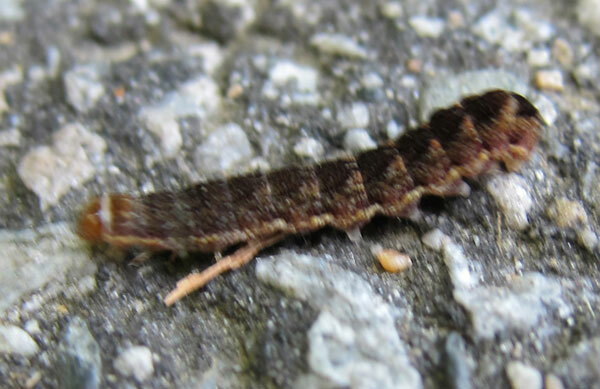 The armyworm or Spodoptera frugiperda is a small caterpillar, around one inch long, with a shiny orange head, a white neck collar, and then a tan body with lighter tan rings down its length and white stripes down either side. These small creatures turn into brown moths when they grow up. It's called an "armyworm" because bunches of these can attack a garden and consume great quantities of food very quickly. Gardeners generally do not like the armyworm. 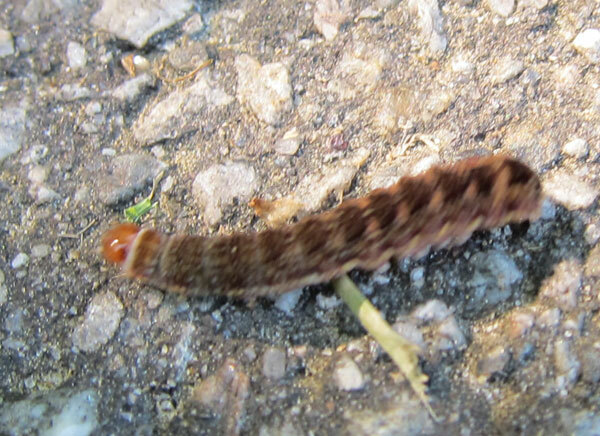 The armyworm are native to North America and are found everywhere east of the Rocky Mountains. 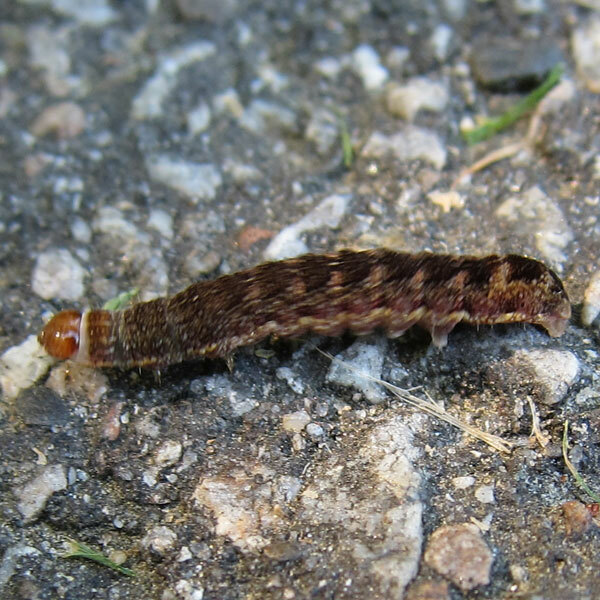 This armyworm was spotted in May at the Blackstone National Golf Course in Sutton.